Photograph courtesy of Ryan Mack. The vlog, which just wrapped up its first season and is awaiting to roll out the second season during winter term, showcases various club and intramural sports as well as group fitness classes in which the students become active participants to display these offerings in a more humorously authentic way. “Our overall goal is to make sure that everyone on campus knows that there’s some type of creative wellness outlet for them and it’s not just an addition to their life here at Drexel University; it’s also something that should be a part of their life here,” Andrew Case, manager of sales and marketing for the Department of Athletics, said. 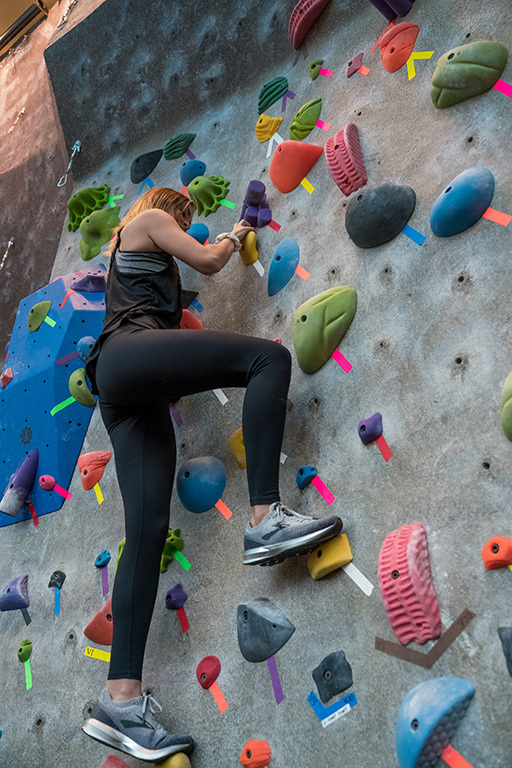 Case, who manages the team of seven student vloggers, said this is particularly important because students are often not aware of what the Recreation Center offers beyond basic gym equipment — though these activities could certainly yield great benefits to their mental and physical well-being. And the vloggers themselves are becoming familiar with these facets of university athletics for the first time as they work to inform the student body. Connor Levesque, a film and video sophomore, said that this experience has been an enjoyable way to learn about and directly engage with these activities. “Personally, I’ve never done any of this stuff either and I think it’s a great opportunity to learn what things are and also have fun making some video content — which is something that I enjoy to do — with my pals,” he said. 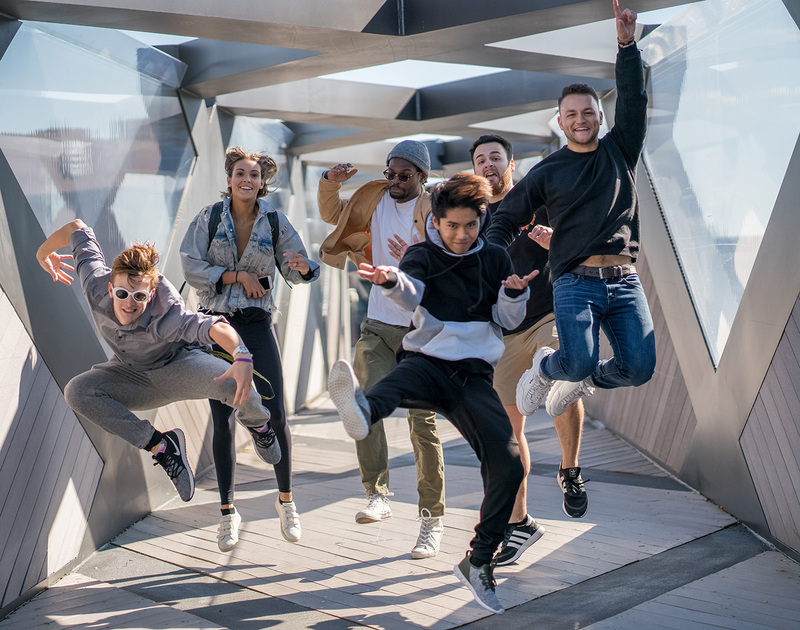 While the energetic team behind the videos is having fun producing content, they hope that current and prospective students — from all backgrounds and athletic abilities — are drawn to recreate the activities they participate in. “For me, I think of myself coming in as a freshman. I wasn’t necessarily familiar with all the offerings of the Rec Center other than the gym floor from working out and I think I see these videos as a great opportunity to show the Drexel student body that number one, these things exist, but also, even if you have no experience, that you’re able to come in and get a very productive workout from that,” Matt Kopyt, a senior in the music industry program, explained. Kopyt recalled a recent episode they filmed in which he and a fellow member of the team, Robbie Corbin, joined the Drexel Fencing Club for a practice. Though he admitted they had previously only seen the sport in movies, by the end, they were fencing against the president of the club and the coach. “That just shows students that regardless of their experience level, they are able to come in and get a good experience out of this,” Kopyt said. Corbin, a senior studying mechanical engineering, said he enjoyed his first time fencing, and that their active involvement within these ventures takes the project to the next level. This segment on fencing will premiere in the vlog’s second season this winter in addition to episodes showcasing BodyPump, barre and Cycle 45 — three group classes available at the Rec Center. 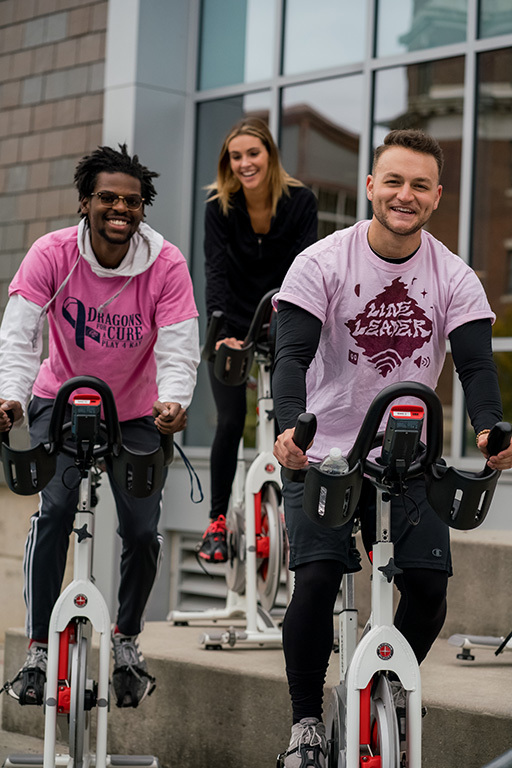 There are also upcoming episodes dedicated to Drexel’s Cycle for a Cure, an event that raised money for the nonprofit organization Susan G. Komen for the Cure, as well as the “Roc the Rec” competition at the climbing wall. Alongside promoting university athletics, Case said the students are gaining experience as marketers while practicing their own trades, since every student has an individual part within the project besides just being on camera. Ryan Mack, an animation and visual effects senior, started off doing photography for the Rec Center but has been able to expand his horizons with his involvement in My Rec Life by shooting video. “I’m pretty fresh to videography — I just started within the past six months or so — and so for me, a lot of this has just been trying to really excel on stuff that I’m not good at and trying to push myself forward,” he said. Taylor Knox, a senior marketing major, formerly worked behind the equipment window in the Rec Center. Getting involved with the vlog has allowed her to get firsthand experience with social media promotion. But most importantly, according to Case, all of these students have learned to tackle another imperative skill: appearing on camera. Case said he soon learned the importance of being on-camera while he studied communication at Temple University and he wants all students to tackle what he learned from it. “I realized, by getting in front of the camera, there was this whole other world of skills that came about that would transfer over after graduation,” he explained, noting that it has forced the students out of their comfort zones. “It definitely brought me out of my shell,” Knox agreed. These students — all from different backgrounds and with different personalities — each provide a special component to the series, Case said. And ultimately, bringing them together to serve as the face of recreational athletics at Drexel has injected a more human feel into the marketing endeavors. Kopyt admitted that it can sometimes be difficult to manage these big personalities while attempting to maintain an overall structure. “But we’re getting much better at that as the terms go on,” he explained. And overall, the students say it has been worth the great effort. “All the hard work, it goes into it and then it comes out, and people see it and they like it and that’s rewarding to hear,” Levesque said. 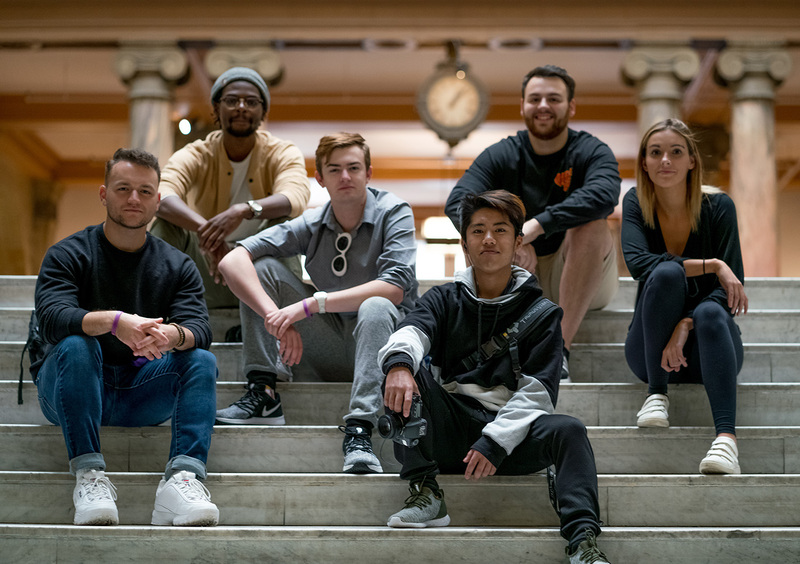 Moving forward, as the team prepares to put out season 2, it hopes to continue marketing the first season to students and to develop an even stronger plan for future videos, which may contain student influencers or possibly higher-ups from administration. For now, Case said, this undertaking has already helped propel Drexel’s recreational athletics. Season 1 of “My Rec Life” can be viewed on on the Recreational Athletics website and its Youtube channel.